Since it started almost 4 years ago by members of the Church Of God, it’s been a huge success. 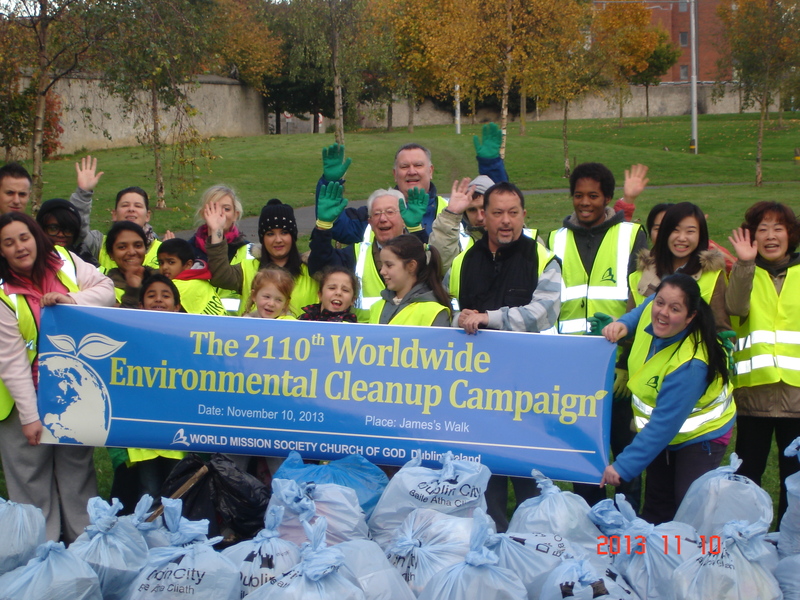 The global and local cleanup’s have been a regular sight in and around, the city and countries, and recently in the Dublin 8. 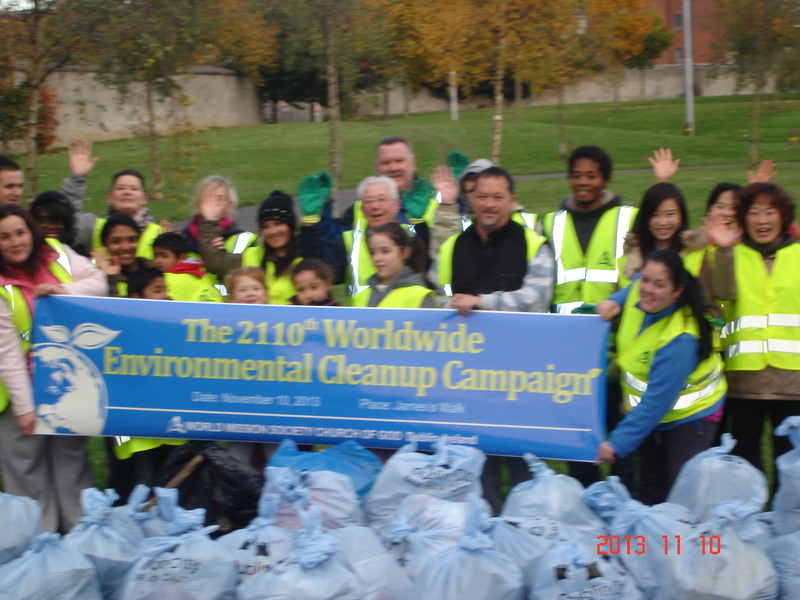 On Sunday 10th November I went along to one of these cleanup’s that was happening in my area. 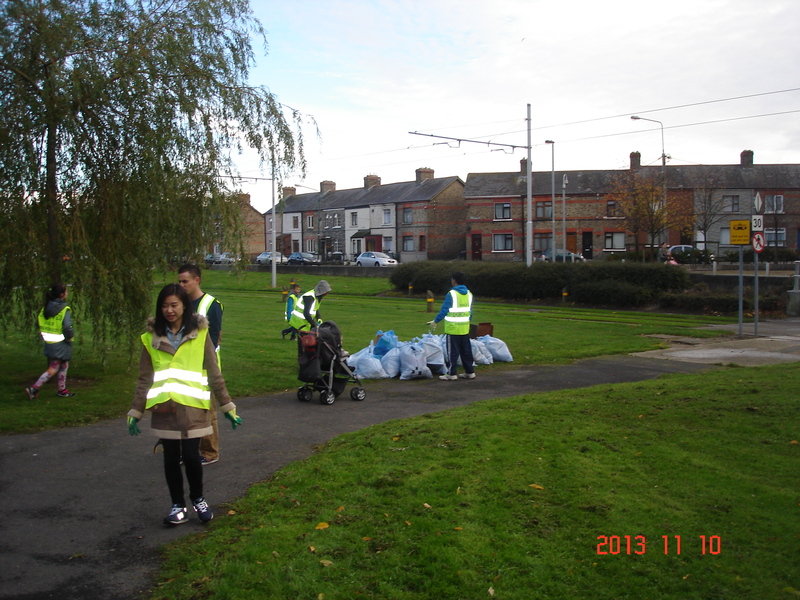 St James walk that sits in between Fatima Luas and the back of St James Hospital was the chosen area for this clean up. 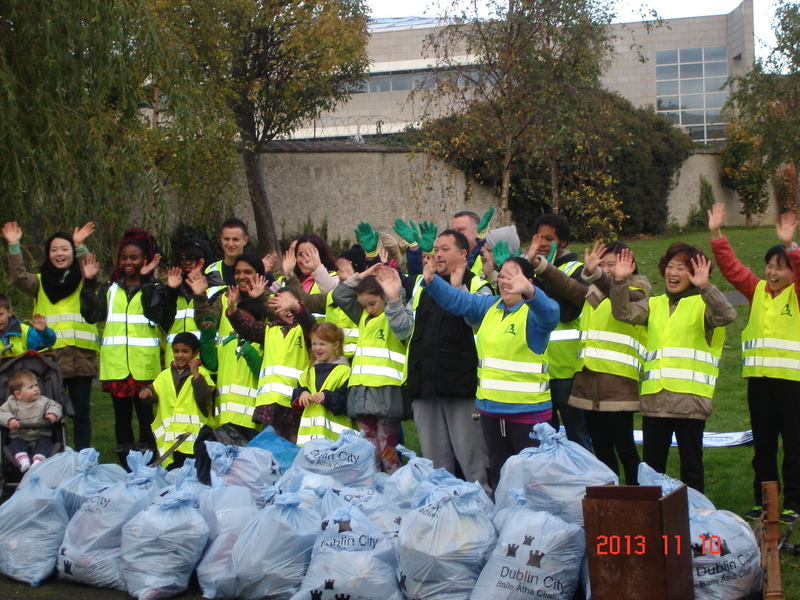 Once I arrived I was given a high visibility vest, a pair of gloves, a blue plastic DCC rubbish bag, and a picker. I joined a group who were already at work and we worked our way towards Rialto Luas stop, picking up litter that was either dumped or got caught in the bushes that was blowing in the wind. The group was headed by a Pastor by the name of Daniel, who informed me all the people who were out on Sunday were members of the church of god, and they liked to be called brothers, or sisters. 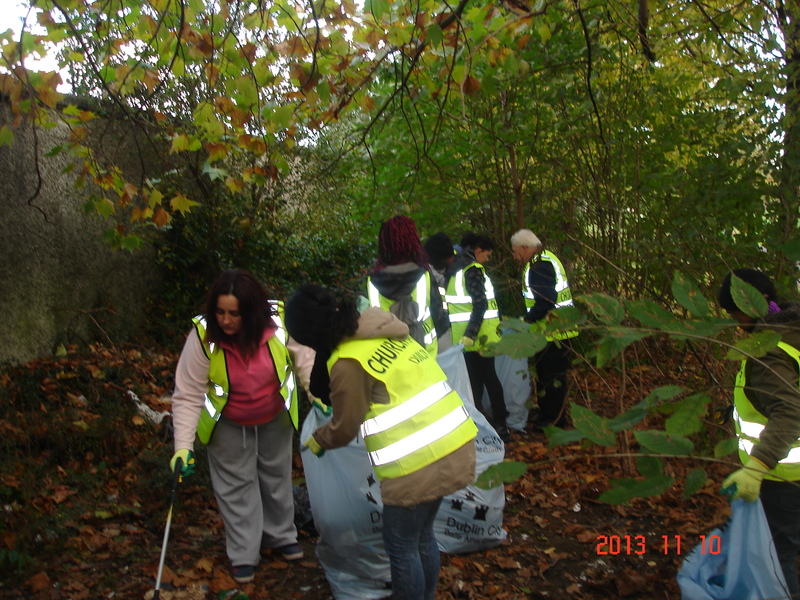 I was a bit sadden to be told I was the only local who came out to help clean our area, as I have heard on numerous occasions that people were fed up with the rubbish been dumped illegally in our area. But solider on I did with the force of about 40 other members. 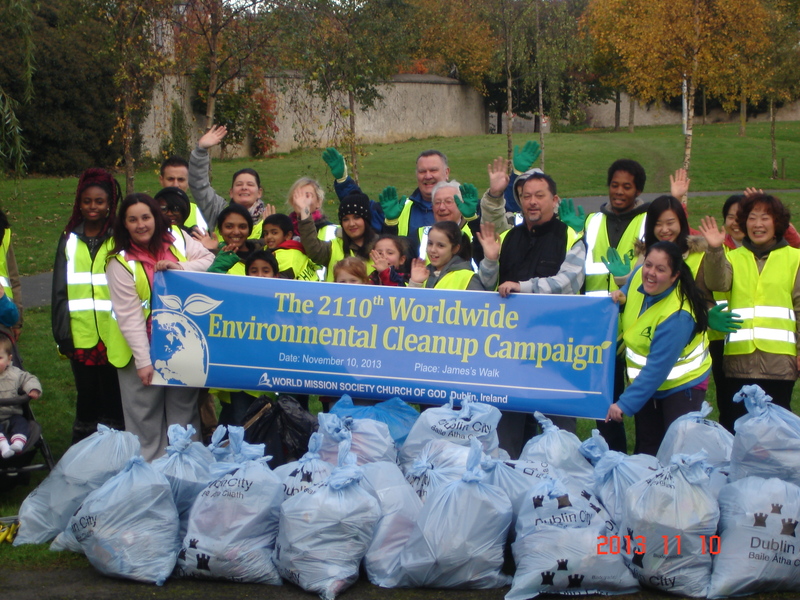 I was also informed this was part of the global cleanup and in recent times the church of god members have been in dated with awards. They have received awards from the US called “The President’s Volunteer Service Award” on behalf of Barrack Obama, and New Zealand, by Christchurch City Council, award from the US Congressman, and from The Philippines, on behalf City Social Services and Department, and recently from the Dublin City Council (DCC). 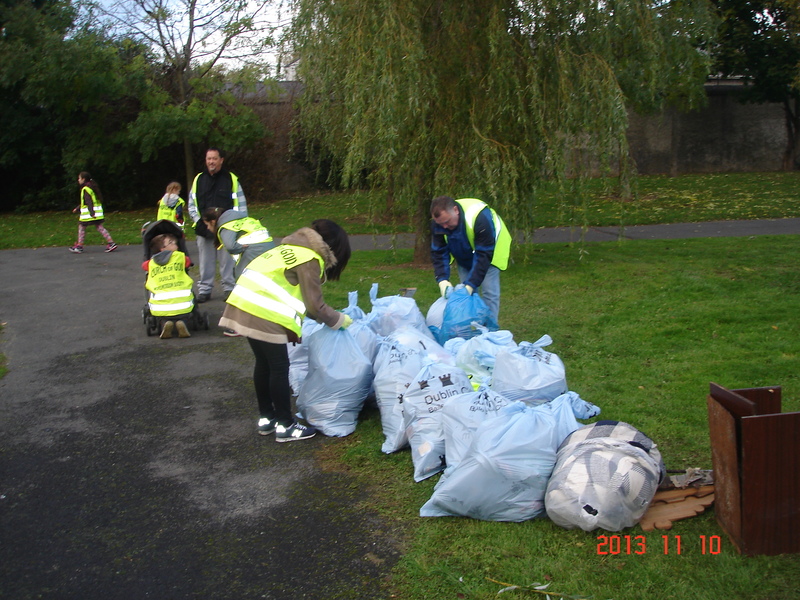 On Sundays clean up the DCC did give them rubbish bags, and when we ran out of bags there were at least 50 bags filled and ready to be collected by the council on Monday 11th November at the arranged site. The Church of God are situated here in our wonderful city of Dublin, over at 126 Block A, Smithfield in Dublin 7. 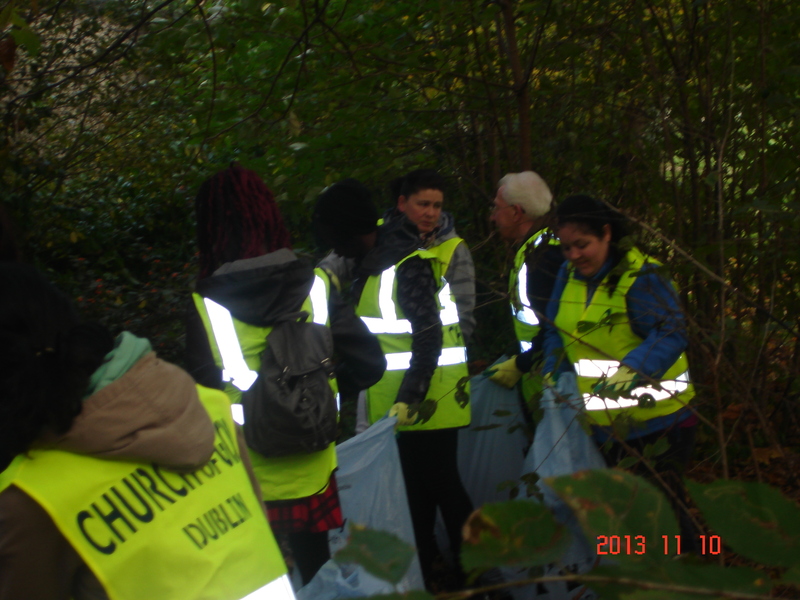 They meet every weekend from 8am to 9pm, all members of the public are welcome to drop in, and you can also phone Daniel on 085-240-1954 to find out more about the Church Of God or to see what area, or forward your area for a cleanup. You can also email Damien at pa1025@watv.org. Wow, it’s amazing to see their volunteer work with great effort. 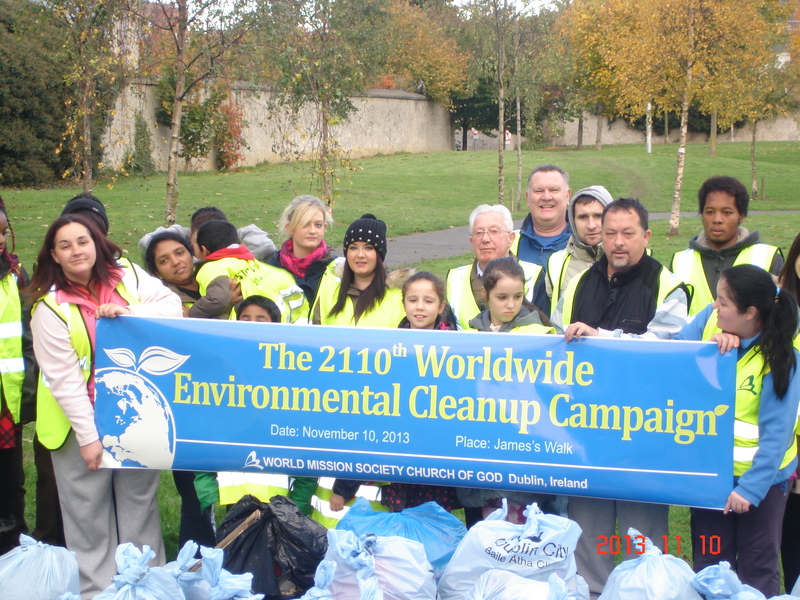 I hope more people can see their beautiful deeds and join together for Dublin! I think they are real children of God because they deliver love of God by action not only word. I also want to participate in this lovely campaign next time. Oh yes I saw that. I was there.! I felt our children play there more safely from now o. You Guys are doing great Job!! 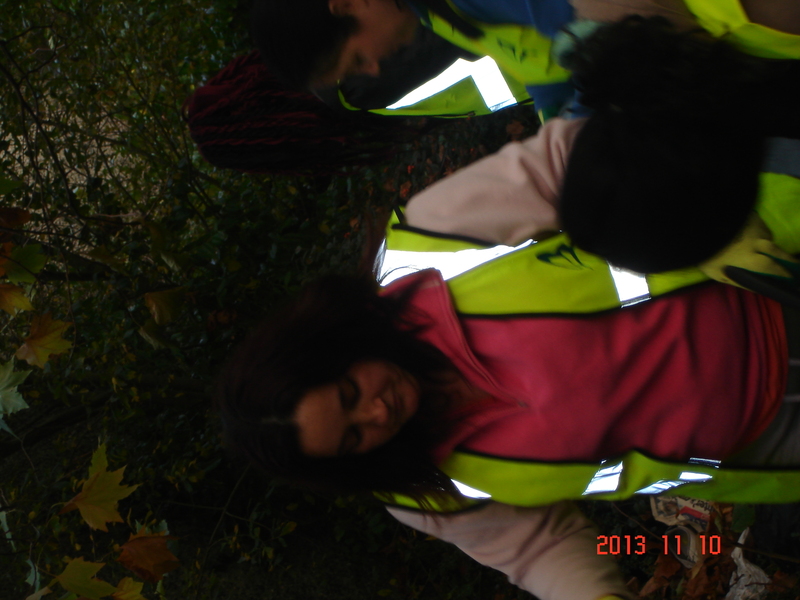 Well done to the members of Church of God & the local people who were there to help. Let there be action in our words & not just words. Thank you for being an example for others. excellent work guys! hope next time we have more people 2 shine Mother & Father’s glory! God bless you all!